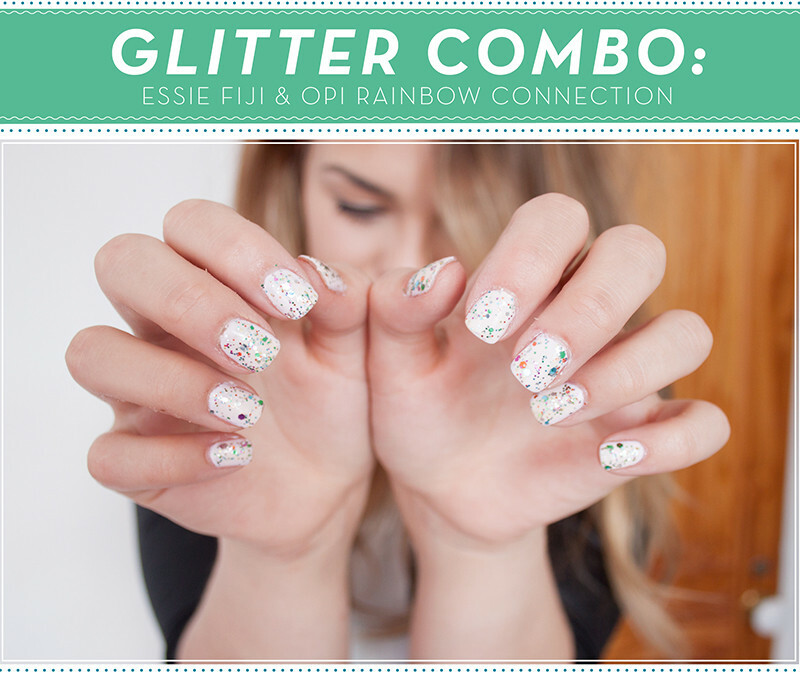 I havent worn glitter nails in a long time now, but the other day I reached for a ol' favourite and whipped up a new glitter combo. Essie Fiji has been gracing my nails a lot recently, basically a pink version of my favourite nail polish - Models Own Utopia. It's an opaque creamy pink which looks lovely on my skintone. 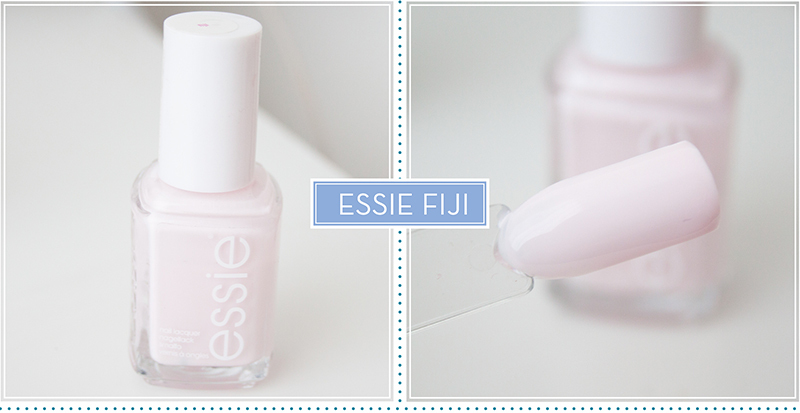 It has one of the Essie Diffusion line brushes and applies like a dream. 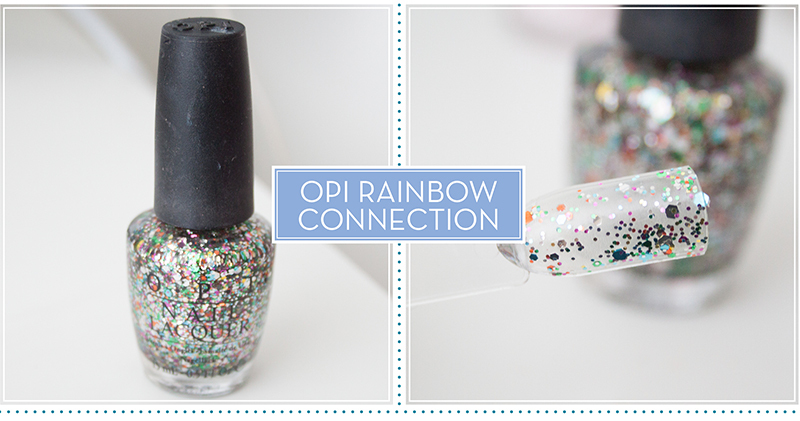 OPI Rainbow Connection is a clear polish packed full of rainbow coloured glitters. 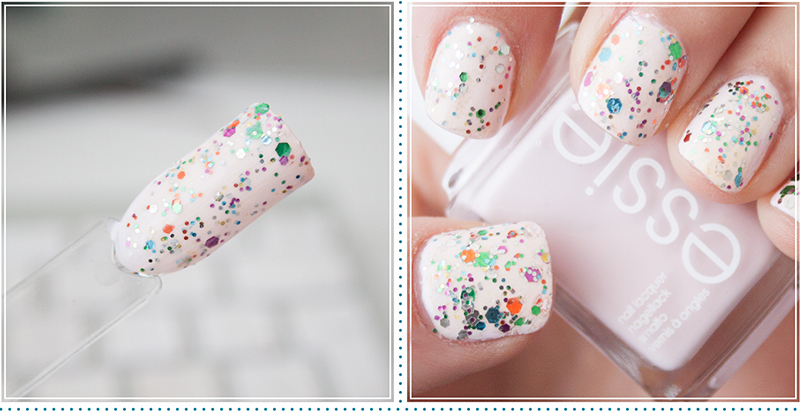 This was from the OPI Muppets collection and I think it's still available, although there are dupes of it left right and centre these days! Simple but effective. Love it!